Minister Mano Ganesan said the decision was reached during the meeting of Cabinet Ministers today (5). Minister of Finance Mangala Samaraweera informed the Cabinet of Ministers that PSM Charles will accordingly be informed to expedite investigations into malpractices reported. The minister further said that she was reinstated in the position for a period of 3 months and that her performance will be observed during this period. Customs personnel launched a Trade Union Action following the removal of P.S.M. Charles from the post of Customs Director General, citing she was removed without reasonable cause. The work to rule campaign launched by Customs officers unions resulted in over 2,000 containers being stationed at the Colombo Harbour without necessary clearance. The trade union action had entered day seven today (5) while several trade unions of state departments, institutions and corporations had supported the protest. This is a victory for People’s Power. This officer is a committed public servant from the North who has upheld the standards of public service in all her previous offices. Makandure Mangala and his den of thieves were upset by the initiatives of this officer, cracking down on corruption in the Blue as well as the so-called Yahapalana regimes. She has been given 3 months and Makandure Mangala will be monitoring her ‘peformance’. Makandure Mangala does not realise that his own stupid, bungling performance will be judged by Parliament when the Budget comes for a vote. Makandure Mangala’s Government is likely to be defeated on the floor. Makandure Mangala does not realise that his own performance and that of his den of thieves will be judged by the electorate in elections this year. 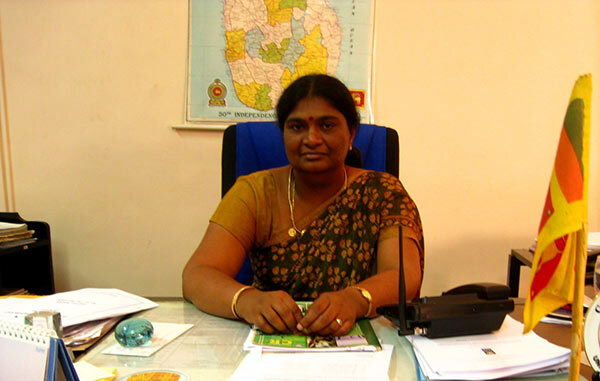 M/s Sarojini Charles, we, the people of Sri Lanka from all walks of life, from all provinces, we are with you Sarojini; power ahead without fear or favour. We, the youthful patriots of Sri Lanka, salute you for your excellent services. Blabbering idiots who hold Cabinet positions and their catchers who surround them at taxpayer expense will be held to account when we go to the polls later this year. They will be held accountable for their misdeeds and stupidity. Aunty Sarojini, you continue your excellent work and we will always support you.